National Pride! Red, white and blue! The bald eagle! All are recognizable symbols of the United States of America. 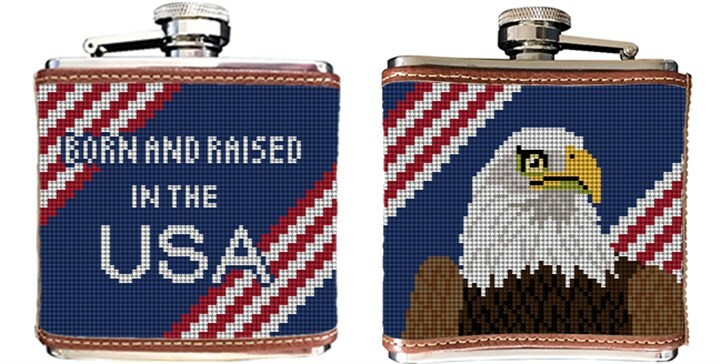 You're proud to be an American, so why not carry our Eagle needlepoint flask, or give one as a uniquely American gift idea.